On November 9, First Deputy Minister of Defense of Azerbaijan, Chief of the General Staff of the Armed Forces, Colonel General Najmeddin Sadikov met with a delegation led by General Stephen R. Lyons, Commander of the US Transportation Command (USTRANSCOM). After welcoming the guests, the Chief of General Staff congratulated General S. Lyons on his appointment to the new position and wished him success in his future activities, the Defense Ministry reported. Touching upon the military-political situation in the region and the current situation on the front line, Sadikov noted that Armenia continues its occupation policy against our country, adding that the conflict can only be resolved within the territorial integrity of Azerbaijan and on the basis of the norms and principles of international law. Noting the development of Azerbaijani-US relations both in a bilateral format and as part of various NATO programs, including in the field of education, Sadikov stressed that cooperation between our countries in the field of defense, in particular with the USTRANSCOM, continues at a high level. 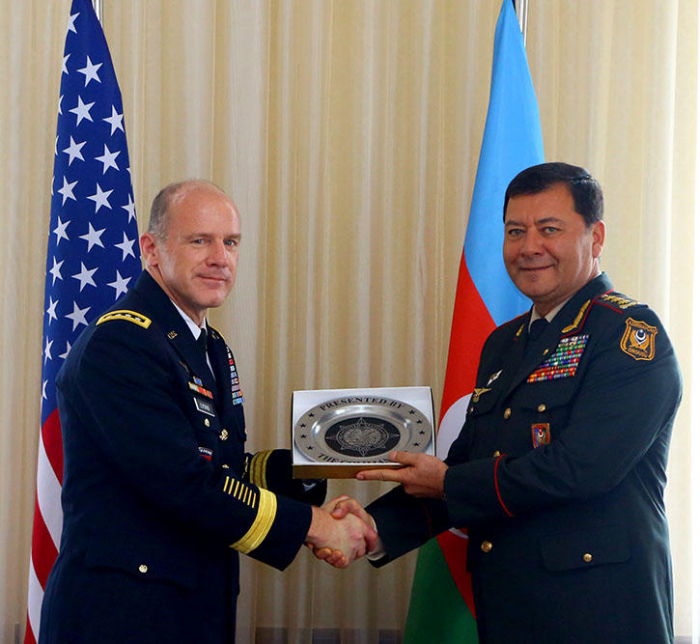 The American general congratulated the Azerbaijani side on the occasion of the State Flag Day and expressed satisfaction with his first visit to Azerbaijan in a new position. The guest, having highly appreciated the contribution of our country to the mission in Afghanistan, expressed gratitude to the leadership of Azerbaijan for the active cooperation in this field. Referring to the excellent service of Azerbaijani peacekeepers, S. Lyons stressed that the participation of Azerbaijani soldiers in the mission in Afghanistan is an integral part of the cooperation between Azerbaijan and the United States, as well as Azerbaijan and NATO.